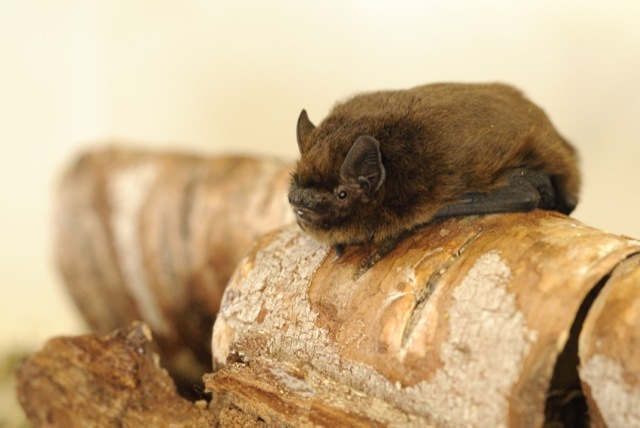 In December 2013 The Breckland Society made a grant of £750 to set up the Breckland Bat Project, which is run by the Society in conjunction with the Norfolk Bat Survey. The grant was used to purchase a set of bat recording and monitoring equipment which will help provide vital information on the distribution and numbers of bats across the Norfolk and Suffolk Brecks. The project extended over four recording seasons, from May to September each year in 2014, 2015, 2016 and 2017. You can read about the results from 2014 and 2015 here. Those for all seasons will be published in Volume 2 of the Journal of Breckland Studies, anticipated for publication in summer 2018. Common Pipistrelle, one of the most widespread bats in the Brecks. Image: Amy Lewis. To gather data that will help us understand the status and distribution of bat populations across the Brecks, and to increase public awareness and appreciation of these fascinating creatures. We anticipate the project covering three recording seasons, from 1 May to 30 September during 2014, 2015 and 2016. What will the project outcomes be? The data collected will form a database of bat records for the Brecks, from which an illustrated report will be compiled, summarizing the records gathered over the course of the project, with individual species accounts and distribution maps. To avoid duplication of effort, 1-km squares already selected for survey by participants in the Norfolk Bat Survey will be shown as reserved here, and vice versa. The equipment comprises a small battery-operated recording box with memory card, an extendable pole and a microphone. Ideally you will set up the equipment at three different points over three consecutive nights within your 1-km square, but if this is not possible please do what you can. One night’s recording in your garden will still supply useful data to help us fill gaps in the bat jigsaw for the Brecks! When and where can I record bats? Anytime between early May and late September, avoiding nights when there is predicted to be heavy rain or when the temperature is likely to fall below about 7 degrees C (45 degrees F), both of which will significantly reduce bat activity. You’ll need to put the equipment in place before dusk – set-up should take no more than ten minutes – and then take it down the following morning. You can do this anywhere there are likely to be bats, from your own back garden to woodland, farmland, riverbanks, heathland etc. Please make sure that if you want to set up the equipment on private land that you have the landowner’s agreement in advance. Equally, if you are doing so in a location with public access, please make sure that the equipment is as discreetly placed as possible so as not to attract unwelcome attention! The microphone picks up the echo-location calls made by bats as they fly about at night and records them on the memory card. Individual bat species make different types of call, and recent advances in bat detector technology and digital signal processing mean that it is now possible to collect the acoustic recordings and then use a special computer programme to identify and attribute the calls to the different species. You will be asked to send the recording box memory card (in a freepost envelope supplied with the kit) to Dr Newson at the BTO. He will download and analyse the data to produce a summary for each site of the total number of “bat passes”, ie each time a bat flies past the microphone, as well as the number of passes that could definitely be attributed to a particular species. This summary will be emailed to you so you know what you’ve recorded.